When asking about the word successful, my next guest’s response was the exact reason why I had to interview her. She stated, “To everyone success has a different meaning. For me, it is the people around me. 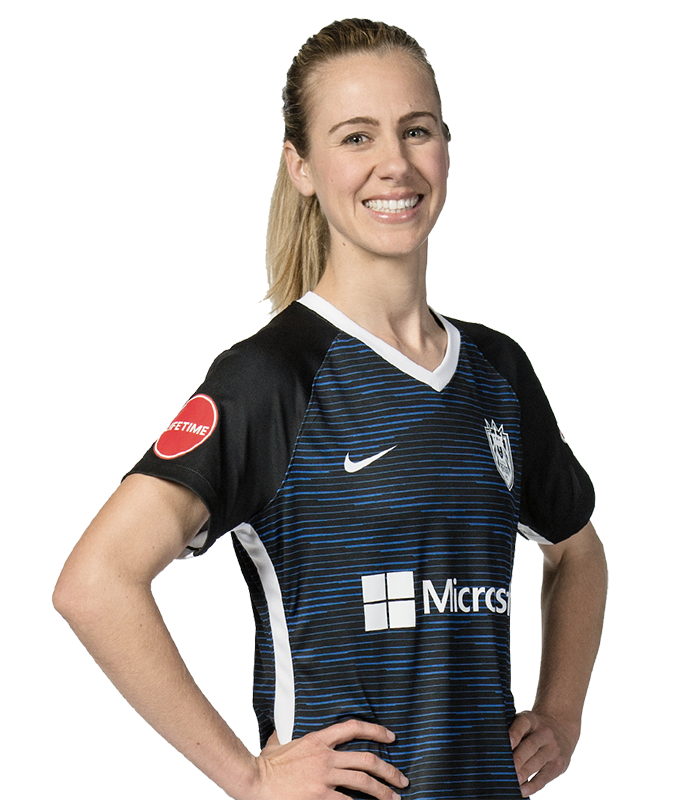 I feel successful because I am surrounded by people who make me a better person and player every day.” By enjoying life and the people around her, this selfless Seattle Reign midfielder/forward is teaching everyone how to be a supportive, caring, yet competitive player, in the NWSL. Christine Nairn: Describe yourself in five adjectives/words. Nairn: What quote do you live your life by? Why? Yanez: “Treat others the way you want to be treated.” This was a household rule growing up and one I have kept close to my heart. This quote has allowed me to make friends, understand teammates, and love more. Nairn: What book are you most likely to recommend to others and why? Yanez: The Monk Who Sold his Ferrari. Sometimes we get caught up in the stresses and routine of “life,” and we forget what’s truly important. This book really speaks about the simple life and how important it is to be happy and to love. Nairn: What is the best or most worthwhile investment you have made and why? Could be an investment of money, time, energy, etc. Yanez: My husband and I have been saving money to put a down payment on our first house! It has been a long road and one that seemed impossible at times. Proud to say we were able to make it happen from all of our hard work. We are currently getting ready to move into our first home! We are so proud! Nairn: If you could have one gigantic billboard anywhere with anything on it, what would it say? Nairn: What is the worst advice you’ve heard in your world and why is it bad? What is your response to this advice? Yanez: This is maybe not necessarily advice, but I see a lot of players compare themselves to others. I see it when I play and when I coach. I believe that this is one of the worst things you can do. The reason why soccer, and all sports, is so exciting is because every player is different and together they make a great team! Celebrating these differences and being confident in what you bring to a team is so important. Instead of looking at what you don’t have, look at what you do have. What are you good at and what separates you from other players. Work on the things you can improve but know what your strengths are and be confident with them. Nairn: This is your eighth year as a pro. What advice would you give to yourself as a rookie? Yanez: It’s not about playing time. It’s about developing into your best self, both on and off the field. Always keep an open mind and soak in as much information from the players around you as possible. Some of the best players in the world… coming out of college you may not fit in the starting lineup but having a positive mindset will set you up to become a better player. If you keep this positive attitude you can play in this league (and any other league) for several years! Nairn: In 2012, the WPS [Women’s Professional Soccer league] folded, but Sky Blue FC still traveled to Japan for a preseason tournament. It was during this trip where you were identified to play for INAC Kobe. Talk us through that entire process of playing in Japan, including the language barrier and trainings. Yanez: I got the phone call a few weeks before the 2012 season was set to begin. The phone call didn’t just let me know I was out of a job, but it crushed my dreams of playing professional soccer in the U.S. To say I was absolutely heartbroken was an understatement. After the phone call we were told that the preseason trip to Japan was already paid for and if we were interested we could still go to Japan. Instead of having a pity party, I decided to go to Japan and figure out what my next move was later. Little did I know, my life was about to change. On this trip to Japan we were schedule to play two matches against INAC. Because I was unfamiliar with the Japanese professional teams, I did not know what I was in for. I distinctly remember being blown away by the possession, technical ability, and tactical awareness of the INAC players. We defended for 90 minutes but I was amazed by their style of play. The final score was 2-1, but it felt like 5-0. After that game, four players were invited to an INAC training session. It just so happened that I was one of those players. I remember thinking, ‘I cannot wait to see what they do at practice to play the way they do.’ That practice was something I will never forget. I was exposed to drills that I had NEVER seen before. Every drill challenged me mentally, physically, technically, and tactically for 90 minutes straight. The spacing the players found, the amount of times they checked their shoulders, and their accuracy with passing and shooting was unreal. I’ve never been in such an environment before. That training session was amazing. After being dominated again in the second game versus INAC, we went back to our hotel and I was one of two players to be offered a contract to stay with the Japanese team for the year. I had a week to decide, but I immediately called my fiancé (at the time) and explained how excited I was and how I felt like this team was the Barcelona of women’s soccer and will make me a great player. He said if I was ever offered a contract from Barcelona I would take it in a heartbeat. The rest was history! I spent two and a half years in Japan and became a better person and player. The Japanese culture and style of soccer will forever hold a special place in my heart. While living in such a warm and welcoming culture, I was fortunate enough to meet even more incredible teammates and people. Nairn: You were in Japan for two years before coming back into the NWSL. How did the Japanese style of play prepare you for the American league? Yanez: The Japanese style of soccer taught me that everything I do off the ball sets me up for success when I have the ball. If I put myself in good spots to pick off passes or help make it predictable for my teammates to win the ball, I would also be an option to get forward. I learned it was all about my movement without the ball offensively and defensively. I also realized soccer is a game just like chess; you want to move pieces to get to the other side. This learning process took a long time, but I am so thankful for my teammates who took the time to teach me their style of soccer. They would stay after every practice and show me what was expected from me without the ball. This studying of the game allowed me to get better. The players were also addicted to the game and loved it. I thought I did as well but after experiencing how early they showed up to training to prepare, how late they stayed after to take care of their bodies, and how much soccer they watched on a consistent basis, it all made me feel like I had more to give and I owed that to my team and myself. I’m forever grateful for my time in Japan and felt when I came to the NWSL, I was a completely different player than the woman who left the WPS two years earlier. My understanding of the game transformed, and it allowed me to excel in specific areas of my game that I never knew existed. Life is a funny thing. Once you feel like you have it all figured out, it suddenly flips you on your head. We all have this picture of how life should look or how life should work out, but it doesn’t always work out how we pictured it. Beverly took control of her life by signing a professional contract with professional Japanese powerhouse, INAC Kobe. Instead of focusing on the negative, she took a chance on herself and her career, and the rest is history.